Junaid Jamshed is one of the most versatile brands in the country. They never fail to impress me with every new collection and sometimes take an extra step to experiment with trends and offer something new. This time they've come up with their own line of deodorants (i don't have the picture now) and a jewelry line. 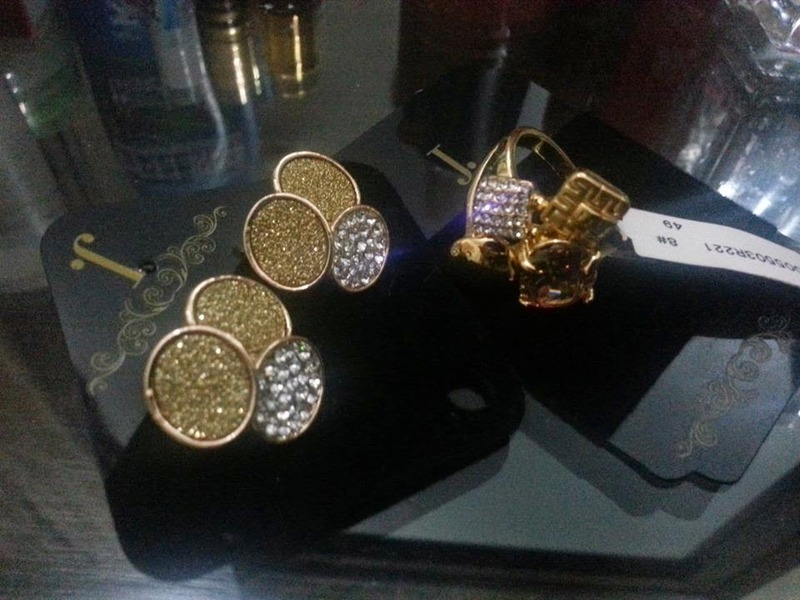 I picked these two beautiful pieces from their outlet at Dolmen Mall, Tariq Road. 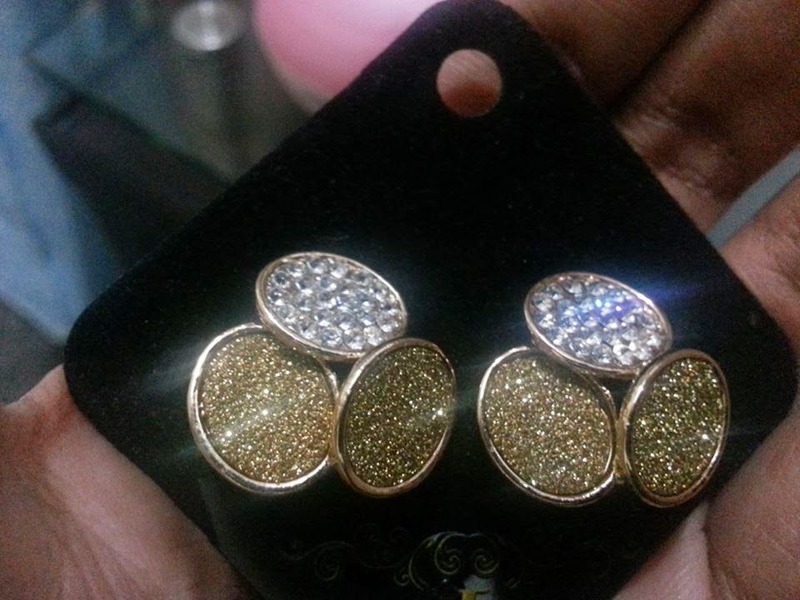 Jewelry isn't available at the Hyderabad outlet, so I guess for now it's only stocked at Karachi. 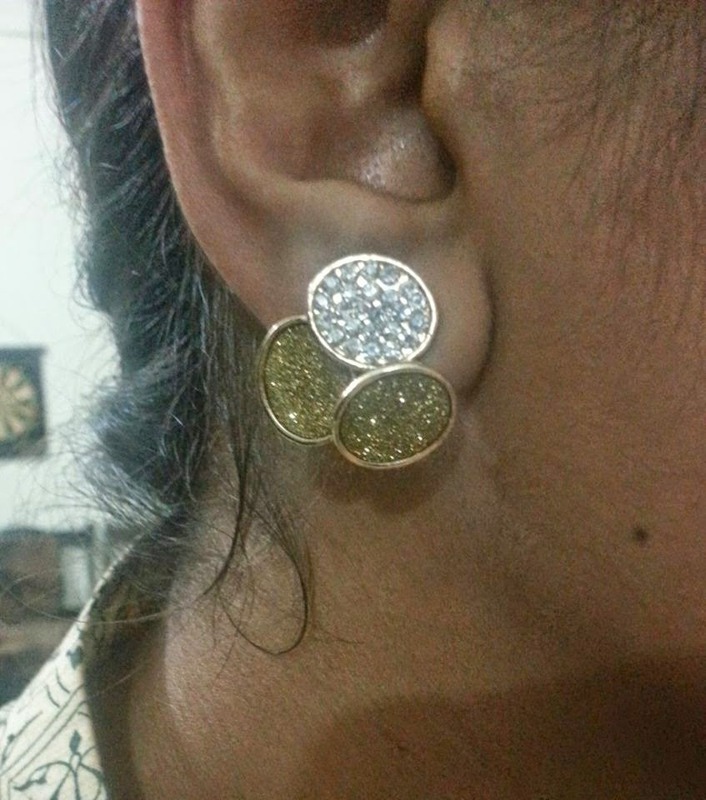 I bought a pair of stacked oval earrings in gold and diamante for Rs. 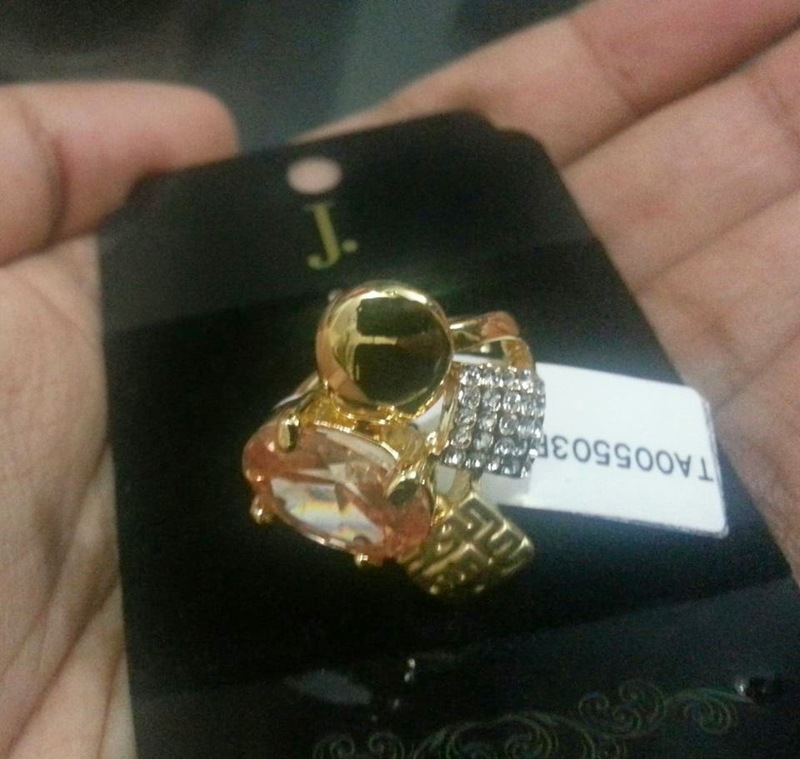 1185/- and a gold toned stud ring for Rs. 1285/-. 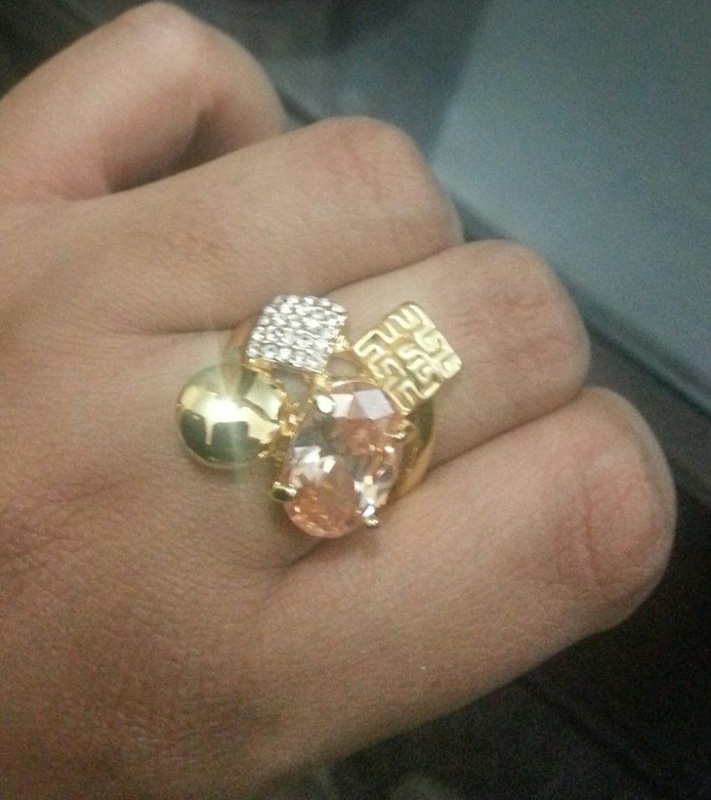 The prices may seem steep but its worth it if you go for the brand name and quality. I hope you liked my picks. Enjoy!